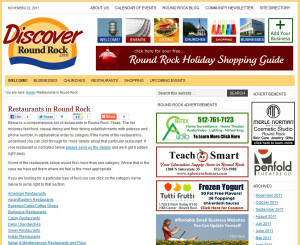 DiscoverRoundRock.com was a personal project of ours launched back in February of 2010. The site was built to be a community portal for the city of Round Rock, Texas. It includes a calendar of events, small business profiles, marketplace ads and a weekly community newsletter. You can see by looking at this site the flexibility and power of the WordPress platform and the themes that are available. The site is now owned and operated by Robert Butler of Round Rockit Media. 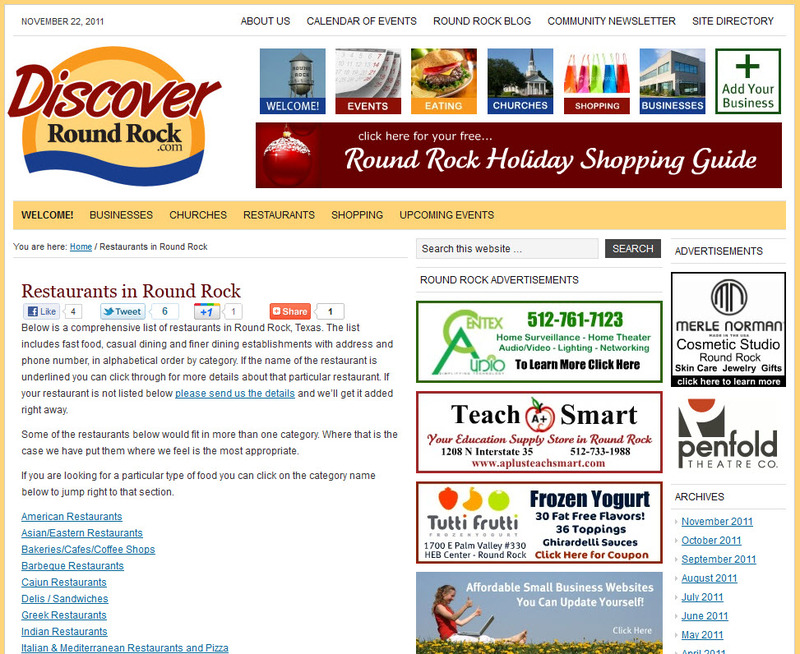 You can visit the site by going to http://www.DiscoverRoundRock.com.